Craig Wiseman isn’t that comfortable in the spotlight, but that’s often where the successful songwriter finds himself. As one of music’s top tunesmiths, the legendary songwriter has churned out well over 300 cuts, 100 singles, 17 #1’s and is credited with songs on over 80 million records sold. He has a Grammy on his mantle for “Live Life Like You Were Dying,” Tim McGraw’s enduring hit that he penned with Tim Nichols. 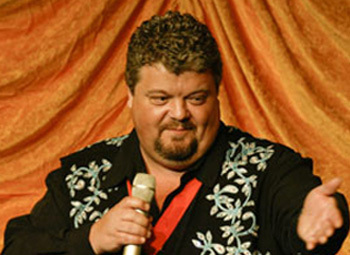 He also has trophies for the Country Music Association and Academy of Country Music Song of the Year and in October he was named the Nashville Songwriters Association International (NSAI) Songwriter of the Decade (2000-2009). 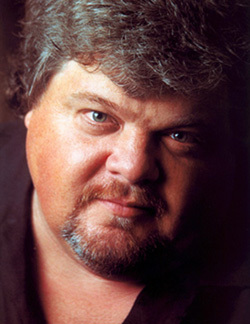 Wiseman has written top hits for such stars as Kenny Chesney, Toby Keith, Faith Hill, Brooks and Dunn, Dolly Parton and LeAnn Rimes. The Hattiesburg, MS native began his venture into songwriting after moving to Nashville when he was 15. He was a drummer playing the bars with the aspiration of becoming a professional songwriter. Eventually Wiseman, (who has since founded and runs the music publishing powerhouse Big Loud Shirt Industries) secured a writing deal with Almo/Irving Music in 1990. Recently, in a new interview, Wiseman took time off to talk about his career and his advice for people pursuing the passion of songwriting. Bill Conger: In addition to all your music industry accomplishments, another honor is the way people react to the songs you write. How does it feel seeing something you’ve created going from pen and guitar to hearing other people talk about how it has affected them? Craig Wiseman: That’s really it man. It all began with songs like “The Good Stuff” (Kenny Chesney) and “Live Like You Were Dying” and “Believe” (Brooks and Dunn). Look whenever you’re out somewhere, and you’ve got some 300-pound country boy coming up to you and talking about a song of yours with tears in his eyes and you know he doesn’t have a lot of discussions about his emotions and you’ve got somebody like that coming up to you just trying to tell you what it meant to them and maybe how it helped them. That is the greatest thing. I remember when I was a kid and just a lover of music, how much certain songs meant to me, how much I took them into the core, and the ideal that I could write something that could do that to somebody. I still have a hard time wrapping my head around that. It is so strong and so powerful, I still can’t really accept the fact that I’m the guy doing that now. It’s a staggering honor. Those are my folks too man. I just feel like I’m a reporter. I’m just trying to think about and maybe feel where other people haven’t got time because everybody’s busy. And the fact that you get it right every now and again and you sort of capture something kind of for everybody. On those days and those moments it’s the very, very best job in the world. BC: Do you ever wish you were the artist as well performing the song? Wiseman: No, man. I was always in bands and I was always the drummer. I was always behind the scenes. I like being behind the scenes. I know what the artists go through. In fact, here we are at the end of three days of these parties (following the NSAI Awards) and all that and shaking hands and interviews and stuff, and I’m completely over it. (laughs) You know what I mean. I’m good. I want to go home and hang out with my wife and my dogs and go back to enjoying my life in the fine print. I like going out and doing songwriter shows and all that stuff. You and I both know being an artist is a fulltime job. I’m friends with Kenny Chesney – I watch him. That guy is a focused, hard-working machine. It’s hard to have any kind of balance in life if you’re an artist. All these songs were driven by these amazing artists and all these people that keep their lives so out of whack to be that superstar, that allow me to have a life that is balanced. My gratitude definitely extends to them. BC: Some songwriters like to compose together at set-up appointments, but some people say that forces inspiration. How does the songwriting process work for you? Wiseman: It’s not a question of forcing inspiration. It’s finding inspiration that’s already there. To me, forced inspiration a lot of times is ‘oh, I got this idea last night and I’m writing with this person. So this is the idea we’re going to write. That’s pretty contrived already going into it. What happens with me is I write every day and pretty soon you kind of go through your idea box and pretty soon you’re just there. Today, I’m suppose to write a song and maybe you write with a co-writer. It starts off with I went to see this movie last week and it was about this and this and it reminded me of this girl I dated in high school and her dad was this. All of a sudden you stumble upon one of those little truths in life or something. I like getting in there and sometimes writing a song and not knowing what in the world it’s going to be until you’re halfway through the song. It can’t be contrived if that’s the case. So, I think it’s like anything else until you push yourself–there’s a lot of people that want to do this and they’ve got their little way they write their songs. I make my little cup of tea and I sit here and light my candle, and I put it over here and I sit down and I do this. That’s just their little safe zone and that’s what they do. You don’t know what you can do until you push yourself. It’s like anything else that’s human and physical until you push yourself, you don’t know what the boundaries are. And you’re just doing the same little exercise you’ve always done. I’m glad that works for you, but you really have no idea you’re capable of either. After you’ve pushed yourself and you’ve spent years pushing yourself and challenging yourself and getting yourself out of your comfort zone, if it winds up where you wind up back with well a cup of tea, my little candle here, that’s fine, because you’ve done that out of wisdom and knowledge and self-acknowledgment. I don’t think there’s anything wrong with you pushing yourself, getting yourself out of your comfort zone, because I guarantee you will discover elements about yourself that you didn’t know were there. It’s just like an instrument. You don’t sit down and play the five songs you know every day if you want to master an instrument. You practice stuff you don’t know. BC: Are you more of a melody or lyrics guy, or does it all groove together for you? Wiseman: It kind of grooves at the same time. The idea of just being given a melody is a little confining for me. It does kind of all happen at the same time. I’m probably stronger lyrically. My musical stuff tends to be kind of simple. Tim Nichols–the guy I wrote a Grammy song with–he doesn’t even bring a guitar to our writing session. Then, there are other guys I write with they have to show me how the song goes after it’s over. There I was a lyricist guy, and I wrote with guys that did all the melodies. All of a sudden I started doing the melody, these huge songs came out of it because I pushed myself. I didn’t limit myself. I got a nice Grammy sitting on my mantle. Once again, that’s evidence of what I’m talking about. Just not accepting any boundaries. BC: Besides pushing the limits, what other advice do you have for budding songwriters? Wiseman: Write. Write, Write, write, and write again. If you don’t know what to write about, write a song about having writer’s block. When it’s all said and done, if you’re a songwriter, write and write all the time. That’s how you learn. I was talking to one of those old country guys and he said people come up to me and I go, yeah, I’m a songwriter too. He would say, well, sing me the song you wrote today. They would go I didn’t write a song today. Oh, well sing me the song you wrote yesterday. I didn’t write a song yesterday. Oh, you’re a part-time songwriter. If you write songs, write songs. You get better every time. I get it. If you write songs that make you feel good, that’s great. If you write two songs a year, that’s really good. I think that’s great. I hope your mom and your grandma enjoy them. It’s sort of like saying you’re saying you’re an Olympic athlete and you work out two times a year. If you can make it to the Olympics working out twice a year, maybe there’s an event where that can actually happen. As far as I can tell man, the guys that are in contention are probably pretty diligent about it. There’s a side of this that’s a spiritual thing. It helps you connect with yourself and with God and all that stuff. If you want to sit down once a year and write a song, that’s great. But just do yourself a favor and don’t drive yourself crazy and get all mad, because you can’t get a George Strait cut. Just enjoy it for the spiritual journey that it is.